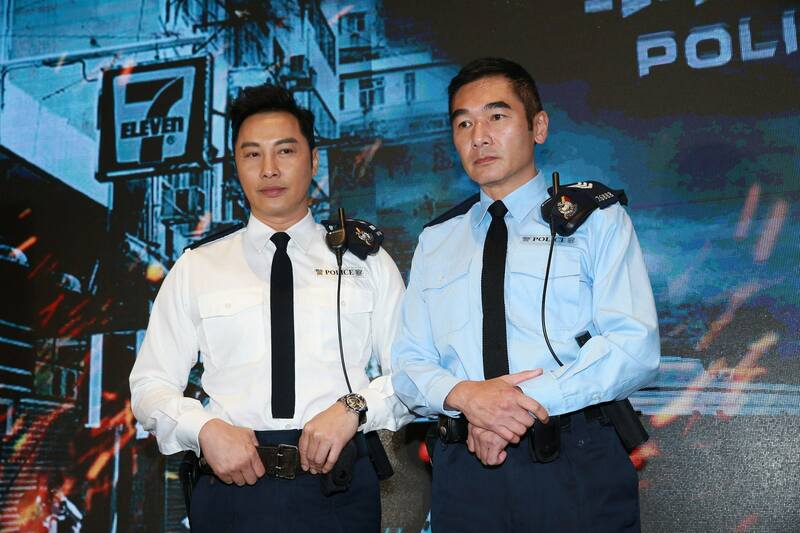 Another Hong Kong cop drama is already on our way, and Flying Tiger <飛虎之潛行極戰> hasn’t even finished airing yet. 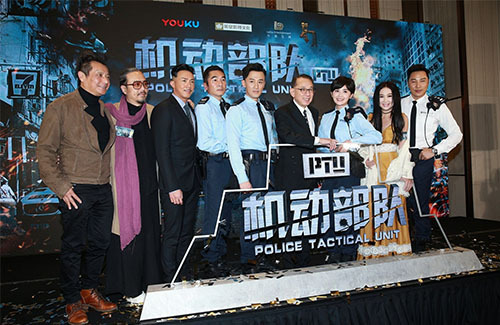 It has been announced that the Chinese streaming service Youku, who teamed up with Shaw Brothers to produce Flying Tiger, has collaborated with EEG to shoot the new Hong Kong television drama Police Tactical Unit <PTU機動部隊>, which stars Raymond Lam (林峯), Charlene Choi (蔡卓妍), and Alex Fong Chung-sun (方中信). The drama will be Raymond and Charlene’s first drama together since 2010’s The Jade and the Pearl <翡翠明珠>, in which they played a couple. The drama also boasts a star-studded supporting class, including Patrick Tam (譚耀文), Louis Cheung (張繼聰), Irene Wan (溫碧霞), Kingdom Yuen (苑瓊丹), and Lam Suet (林雪). 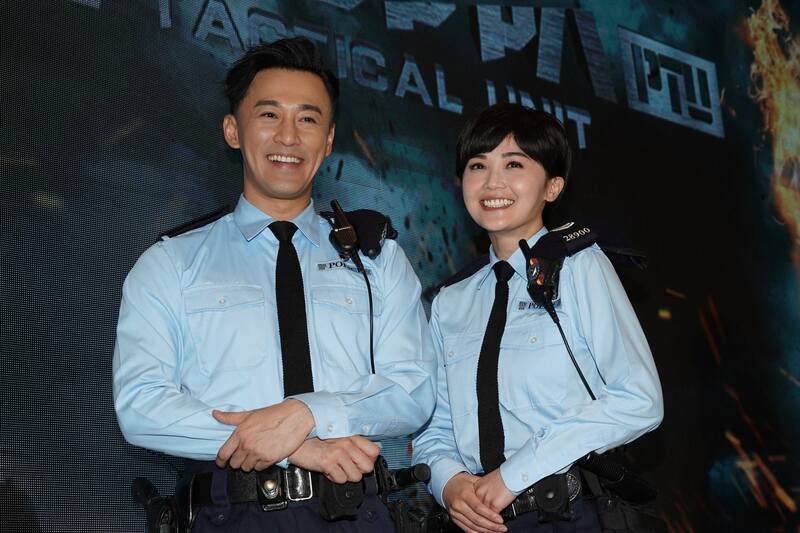 Raymond plays Ko Ka-sing, a PTU officer. His name sounds similar to half-brothers Ko Ka-long and Ko Ka-chun, respectively played by Bosco Wong (黃宗澤) and Ron Ng (吳卓羲) in Flying Tiger. 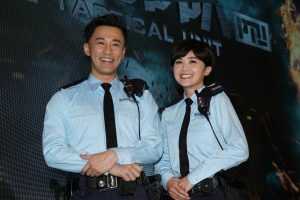 Although Police Tactical Unit and Flying Tiger are two separate stories, there is a possibility that the two dramas could be related. It’s definitely an indirect reunion for the former TVB siu sangs! Police Tactical Unit aims to realistically portray the everyday struggles of Hong Kong’s militaristic PTU force, the policemen who are in charge of being the city’s first line of defense. The PTU is in charge of security, emergencies, crowd control, and disaster response.